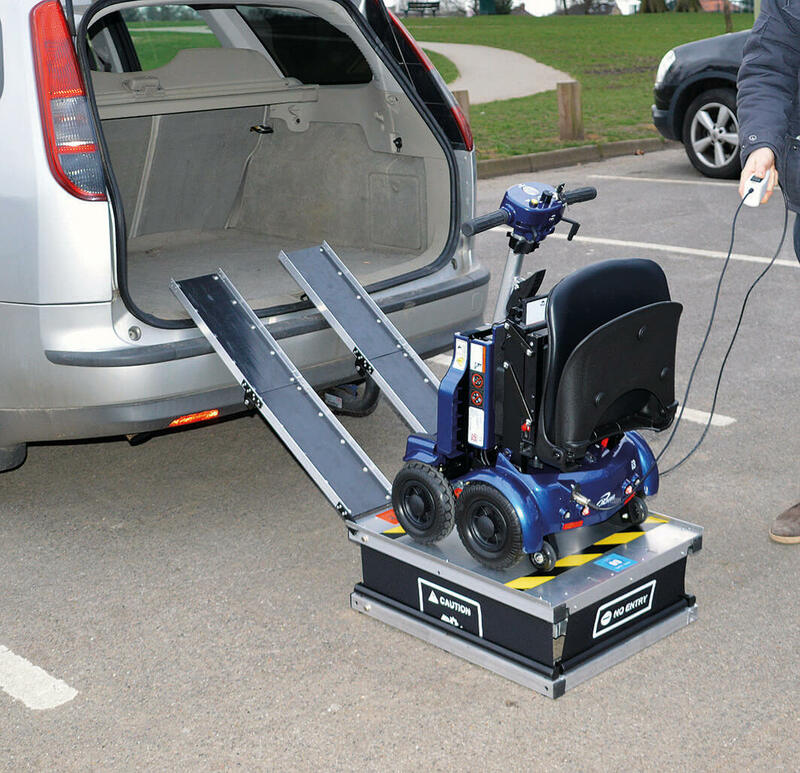 Save time with the compact i3 Power Lifter, weighing only 11 kg it will lift your i3 mobility scooter in and out of your car boot, motorhome, or caravan with ease. Do you need a little help when lifting the i3 folding mobility scooter? The new i3 Power Lifter will help solve that problem. Working seamlessly with the i3 mobility scooter, the compact design of the i3 Power Lifter means it will fit into a small storage space or most car boots, and won't take up much space. A scissor lift action means that it will lift a total weight of up to 27 kg (60 lbs) while only weighing 11 kg (25 lbs), thanks to the lightweight material. It is compact and manoeuvrable which makes it super convenient when getting your scooter in and out of your car boot, motorhome, or caravan. It also saves you time too. In seconds, you'll be able to raise this lifter to your desired height. Then, the strong ramps will enable you to wheel your scooter in or out of the storage space. Rather than worrying about remembering to charge loads of batteries, the i3 Power Lifter runs off your scooter battery. If you're interested in the i3 Power Lifter then please contact us on 02392 255600 or pop into one of our showrooms located in Waterlooville or Torquay.